A limited number of back issues are available for sale. If you would like to purchase any of the issues from the Back Issue List, please record the issue date and include it on your request form. Issues marked with an asterisk (*) indicate that they are no longer available for purchase. Individual articles can be obtained only as a photocopy. 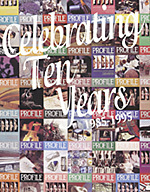 Back issues (and articles photocopied) can be purchased for $5.00 each. Orders must be pre-paid. Cheque, money order or VISA accepted. Price includes applicable taxes, shipping and handling. Please make all cheques and money orders payable to Profile Kingston. Allow two to three weeks for delivery. 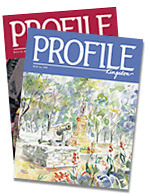 Profile Kingston and Summer in the City are divisions of Riverview Publishing Inc.